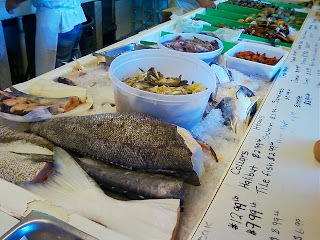 OK, so we went to the Jersey shore, and we ate seafood until it was coming out of our ears. Fresh steamers. Fresh salmon. Fresh lobster. And we paired them with fresh, Jersey tomatos and fresh Jersey corn! But I didn't have time to go fishing for a Jersey white wine. Mea culpa!!! 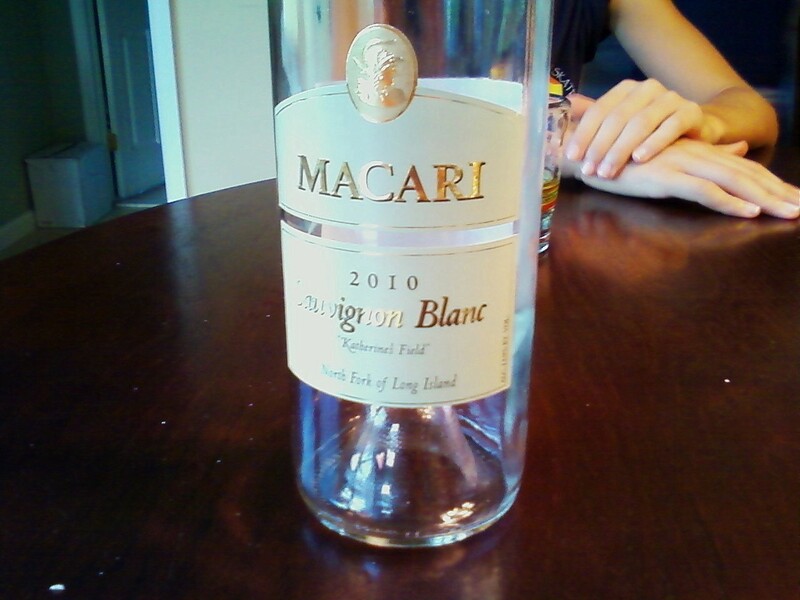 So I brought along some New York state white - Macari Sauvignon Blanc in fact. Now, I will always admonish those who don't drink local wine with local fare, but this was close....the wine was from a directly neighboring state...a sin nonetheless...but more along the lines of a little white lie, rather, than say theft or tell falsehoods to the IRS. The Macari Sauvignon Blanc Katherine's Field 2010 was incredible. A light golden straw color. This white wine was bright, minerally, and citrusy. Light and refreshing, it was the perfect accompaiment to our seafood smorgasboard. Tremendous!